Winter mulching can help shield your Utah gardens from the harsh effects of the upcoming cold season. In areas that get freezing temperatures in the winter — like Salt Lake County and much of northern Utah – perennial plants, shrubs and trees become dormant to conserve energy and survive the cold weather. Much like a heavy coat keeps you warm and cozy, mulch insulates plant roots and keeps the soil temperature in your Utah gardens constant. Without winter mulching, a sudden warm snap can pull plants out of dormancy, triggering new growth destined to die with the next freeze. In addition, soil expansion and contraction can heave plants out of the ground and create root damage. The right time for winter mulching depends upon the weather. Generally speaking, Utah garden pros recommend applying mulch soon after the first hard frost hits. A hard frost occurs when the temperature dips below 25 degrees, causing both the air and ground to freeze. In northern Utah, the first frost date generally falls toward the middle of October. But, this can vary, so keep watch on the local weather forecast. Organic mulch, made from shredded natural bark, is an ideal choice to protect Utah gardens from winter winds and freezing temperatures. The texture can provide the perfect amount of insulation to prevent plants from coming out of dormancy. Other materials, including straw and pine needles, can also work for winter mulching. 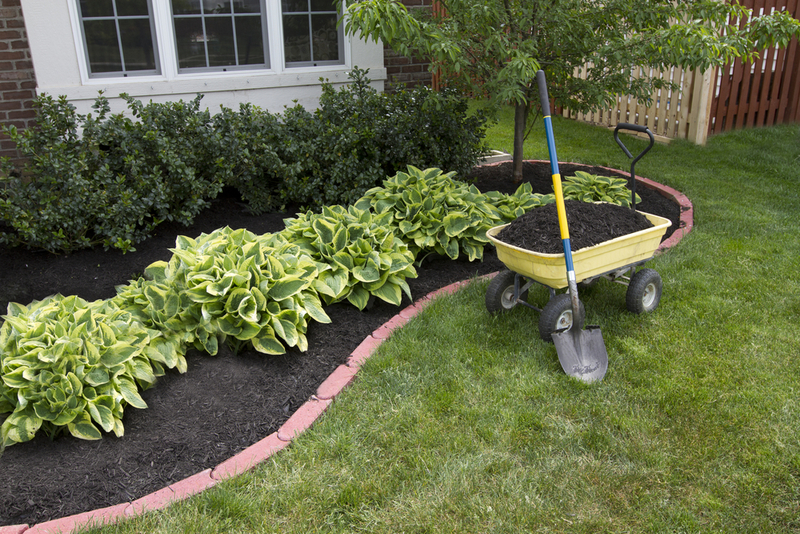 But, since you’ll need to remove the mulch in the spring, a material that’s easy to work with – like organic mulch – makes good sense. The average seasonal temperatures in your part of northern Utah dictate the amount of winter mulch to use. As you might expect, areas that get extremely cold require heavier mulching than areas with more moderate weather. In general, however, Utah gardens need a layer of mulch that’s at least three to four inches deep. Apply less, and the plant roots won’t get the protection they need to make it through the winter unscathed. As we mentioned, you need to remove winter mulch once spring arrives. When you notice your Utah garden plants putting out new growth, the mulch has to go – leave it in place, and your plants may suffer damage. When removing winter mulch, rake away enough to expose the crowns of your plants, but don’t cart it away just yet. Keep the material nearby, just in case the weather takes a sudden turn. If a surprise frost is on the way, recover the garden beds for the evening. Remember, though, to remove the mulch again in the morning. Do you have questions about protecting your Utah gardens during the cold season? The Dirt Bag, located in West Jordan, can give you expert advice on the ins and outs of organic mulch. For more information on winter mulching, or to place an order, contact us today. Topsoil vs. Garden Soil – What’s the Difference? Many novice gardeners think topsoil and garden soil are one and the same, but that simply isn’t the case. 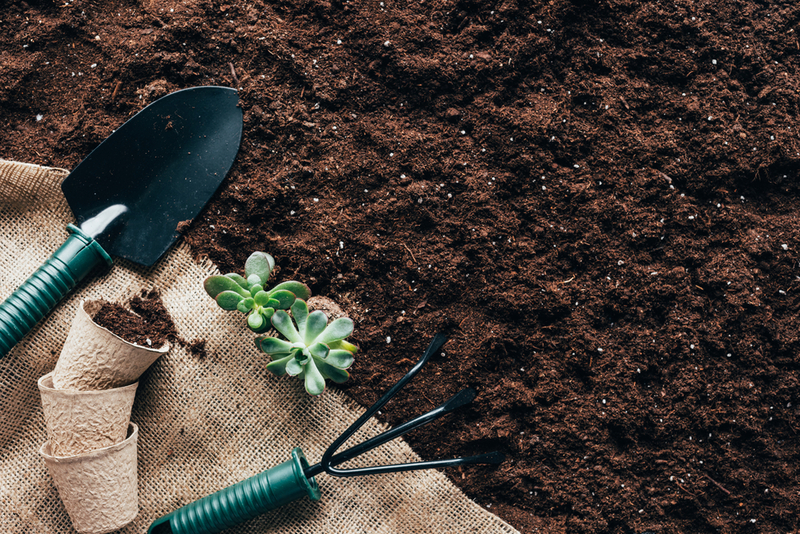 Understanding these two types of soil and when to use them can make the difference between achieving your landscape goals and wasting your time and effort. Whether you’re filling raised bed planters, creating container gardens, topdressing your lawn or embarking on another gardening project, you need to use the right landscaping materials. Scientists consider topsoil to be the uppermost layer of soil. In the landscape materials industry, however, topsoil refers to earth that has gone through a screening process to remove debris and create a consistent texture. Landscape professionals often call topsoil fill dirt – but it’s really not actual dirt. Dirt is what you find when you excavate a basement or attic. No plants thrive in dirt. Topsoil, on the other hand, contains natural organic matter from leaves, grasses, weeds and tree bark that can help sustain plant life. However, topsoil is not enriched or amended at all, which limits its use as a growing medium. Garden soil is topsoil that has been enriched to make it better suited for plant growth. Amendments may include compost or other organic matter, and some soils – like perennial potting mixes – have added ingredients to encourage growth of specific types of plants. Generic soils vary greatly in quality, as do many of the options at local big box stores. When selecting a bagged or bulk soil blend, check to make sure it contains no chemicals or fertilizers. For the greatest gardening success, look for an organic blend that is formulated for the growing conditions in your region. High-quality enriched soil tends to cost more than topsoil, but the needs of your garden – and not the price of the landscape material – should be the deciding factor. Keep in mind, too, that if you have a large area to cover, you can consider combining the two soils. Do you need help choosing the right type of soil for your northern Utah garden project? The Dirt Bag specializes in bagged and bulk landscape materials, and our team can give you expert advice regarding which products best meet your needs. To learn more, or to schedule delivery of topsoil or garden soil, contact our West Jordan office today.